When you talk about RHR Mechanical Contractors, Inc., you’re talking about a significant piece of Lower Bucks County’s industrial history. Although the current firm name came into existence only in 2005, the corporate name H.A. Perotti, Inc. has been known in mechanical contracting here for over 60 years. 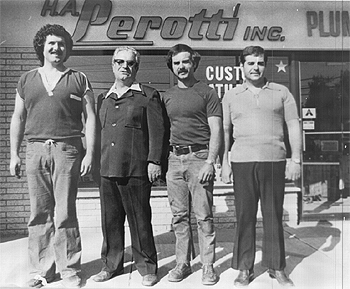 Founder Henry Perotti originally opened the company in Northeast Philadelphia in 1945. In 1946, he moved the firm to Bristol Borough where he worked during the expanding Levitt years,expanding his business. In 1973, the central office moved to Durham Road in Bristol Township. Today, the company is operated by the founder’s two sons. 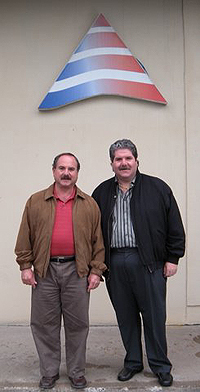 Raymond Perotti, President of RHR Mechanical Contractors Inc. and Henry Perotti, Jr. Vice President. Unfortunately former CEO of the Perotti Group, Richard Perotti passed away in 2002. In many ways, the story of RHR Mechanical ContractorsInc. reflects the growth and development of Lower Bucks itself. The firm transformed gradually from a plumbing company with a handful of employees and mainly residential customers to a contractor employing 45 people in plumbing, heating and air conditioning projects for residential, commercial, industrial and institutional clients. About 70 percent of R-H-R’s business is design/build work, working with customers such as…..
R-H-R Services, Inc. services mainly commercial plumbing, heating and air conditioning systems throughout the Tri-State area for customers such as (Please view or Client list). Since 1972, R-H-R, in particular, has been working on a wider range of projects; designing and building r varied commercial and industrial uses as well as tennis courts, medical centers, schools, churches and institutional buildings and industrial manufacturing. Quality remains the top consideration. Visitors to the offices will see pleasant offices. And, as the firm continues to search for new ways to contribute to and capitalize on the regions economic development, RHR Mechanical Contractors Inc. hopes the community will do the same.